Saya is back, but this time she isn’t singing about the laundry. I finally got a chance to watch Blood-C ~ the last dark, and it was well worth it. 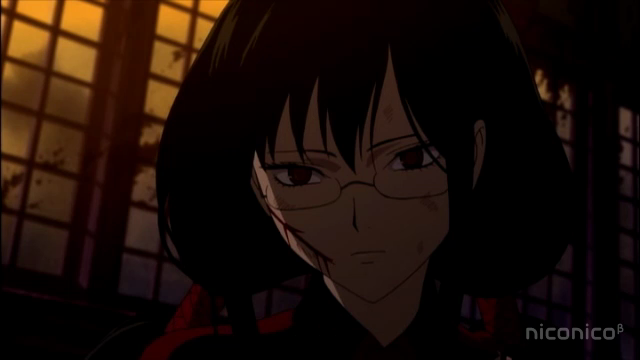 I enjoyed the Blood-C television series, and had been looking forward to the movie after that crazy ending. 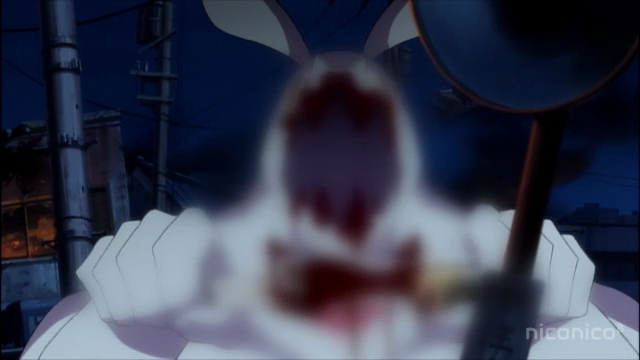 The movie served as an excellent capstone to the Blood-C mini-franchise (a new interpretation of the Blood world by the creative force that is CLAMP). My intention here isn’t to summarize the plot, or give theories or even criticisms. Instead I just want to point out a few things that I really enjoyed about the movie. No spoilers are included. For those wondering if they should watch the TV series first, or if they need to watch the first two Blood offerings first: The Blood-C material stands on its own; there is no need to have seen the first two Blood productions (one a movie, one a TV series) to understand or enjoy Blood-C. That having been said, I think you would get a bit more out of the Blood-C movie if you have seen the Blood-C TV series first. The TV series sets up the revenge story that plays out in the movie. The TV series and the movie are very different in tone, however. Saya, dark and covered with BLOOD. This is a brief review of the supernatural fighting series Blood-C. My purpose here is to provide some final thoughts on the series without spoiling anything. Note: if you want details about the final episode (or to discuss spoilers) take it to this accompanying post. My purpose here is to give my final thoughts of the series after having watched all 12 episodes, and to give you information as to whether you should watch it or not. Bottom-line: I liked this series, and am looking forward to seeing the upcoming movie that has been announced for the franchise. In this censored image, a giant monster eats a human like a corn on the cob. 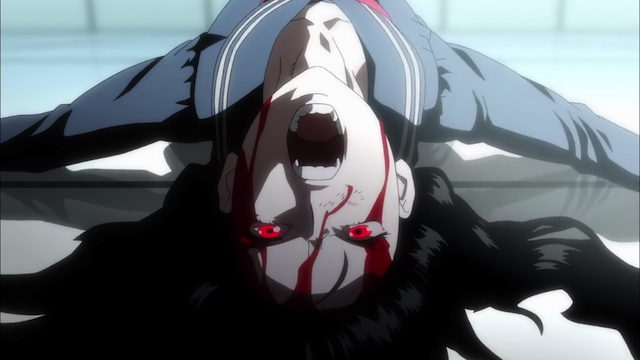 Blood-C was an extraordinary show. I will provide my overall thoughts in a separate spoiler-free post, but here I intend to comment on the series finale, which means this post is loaded with spoilers! Don’t read this post if you haven’t watched the series yet. Saya is forced to face some very harsh truths. Warning: Episode 11 of Blood-C is a payoff episode. This means you should not read this post without first watching earlier episodes as it contains major spoilers for the entire season. 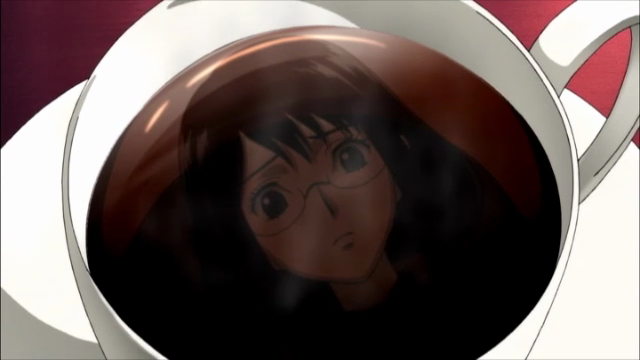 Saya drinks a lot of coffee. Blood-C continues to march towards its conclusion. 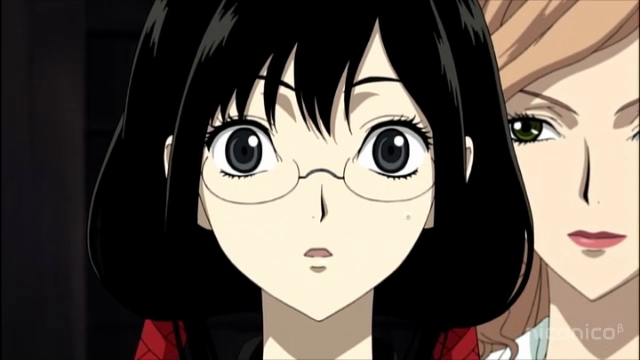 In episode 10 the presence of a conspiracy becomes inescapable, and yet Saya still hasn’t found have the answers to the many questions that have been raised. Saya weeps for those she could not save. 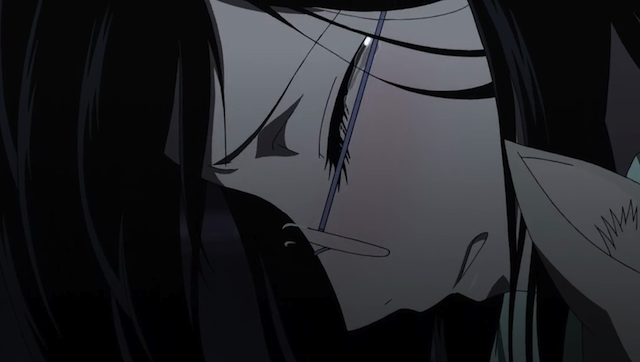 In episode 9 of Blood-C, the carnage continues, and Saya seems to have a breakthrough. More conspiracy theories below. Episode 8 of Blood-C takes us from the moments after the last fight, until the moment the next battle begins. In between, there is enough unexplained (or just plain wrong) that it will have you clutching at your head and collapsing like Saya. My suspicions are running wild, so this will be a speculation heavy post.